Author: Cascone, Gina Set In . . . Description: With the irreverence, gutsy spirit, and warmhearted hilarity that made Pagan Babies a classic, here is the Italian-American experience served up by the author who has been crowned the Patron Saint of Humor. Before the Sopranos, there were the Cascones....Life al Dente, the new memoir from the author of Pagan Babies, brings the same wit and wonder to the telling of Gina Cascone's Italian-American girlhood...well, boyhood actually. In an Italian family, few things are a greater handicap than being born female, but Gina's Dad generously decided to overlook this shortcoming and raise Gina as a boy -- the son he always wanted. As lawyer to numerous "alleged" mobsters, Dad had some colorful clients who would regularly gather around the basement pool table to talk business, drink, and be hustled by junior high Gina. 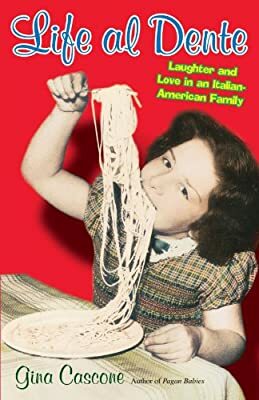 There was no way Gina was going to turn into one of the big hair girls of Italian-American stereotype, but her journey would have all the bumps that come with that cherished immigrant ambition of moving from steerage to the suburbs in three generations. That sense of dislocation came early for Gina as her family moved from the kind of neighborhood where old men play bocce and the pet frogs are named Nunzio to one where Barbies and frozen food prevail. And though Gina's brains got her into the top high school, she quickly made the lonely discovery that she was the only one there whose name ended in a vowel. In our overly pasteurized and homogenized world, there's a real hunger to find and celebrate our connection to old world roots and traditions. Life al Dente abounds in hilarious stories, but also rewards readers with a genuine and poignant contemplation of cultural identity.